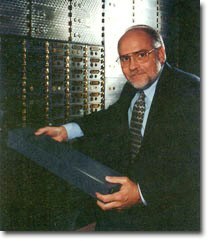 Since 1969, David P. McGuinn, President of Safe Deposit Specialists, a nationally recognized financial consulting firm, has offered safe deposit training, products and services to the financial industry nationwide. All of these safe deposit presentations and resources are now considered the accepted standard for the financial industry. Safe Deposit Specialists is the “KEY” to all of your safe deposit needs.